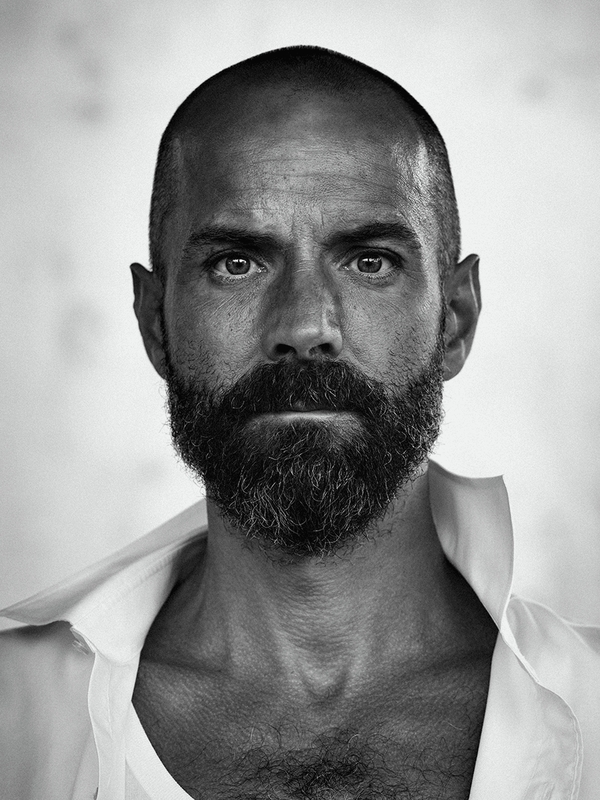 Oliver Riedel (born April 11, 1971) is the bassist for the band Rammstein. Riedel was born on April 11, 1971, in Schwerin as an only child. Growing up, Oliver had relatively good relationships with both of his parents. He attributes this to the small gap in between their ages. As a child, Oliver wasn't a good student, but he made his way through school with the assistance of his mother. Oliver was quite shy, especially during his teenage years, and while his friends partied at discos, he would often be found just "hanging around". In 1990, at the age of nineteen, Oliver began playing in a folk-fiddle/punk-rock band called The Inchtabokatables. In 1994, Riedel, Till Lindemann, Richard Kruspe, and Christoph Schneider entered and won the Berlin Senate Metro beat contest that allowed them to record a four track demo professionally. Paul Landers and Christian Lorenz would later join the band they named Rammstein. He has two children, one of them a girl named Emma, and is separated from her mother. He likes photography and sports, especially skateboarding and surfing. In the making of the video for "Keine Lust", he mentions wanting to go snowboarding while wearing a fat suit. It has been said he is the most computer-literate member of the band. His character is more mature and subtle during live performances. He tends to keep crew cut and skin-bald hairstyles along with some styles of goatees. He is also the tallest member of the band, standing at 1.97m.